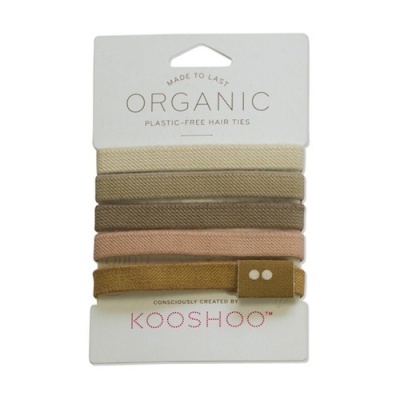 A set of 1, 5 or 10 plastic free hair bands. 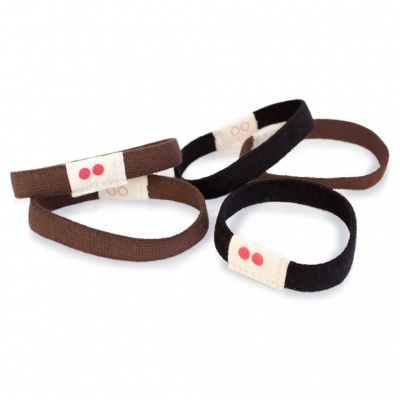 Made with the finest organic cotton and natural rubber. 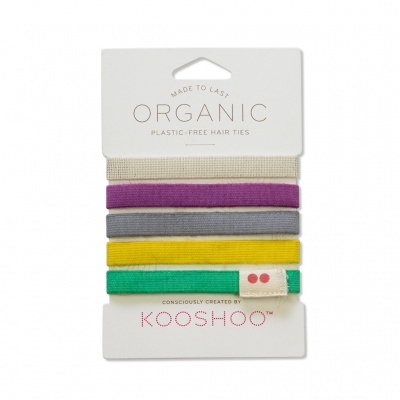 Ethically and responsibly made, long-lasting hair ties. 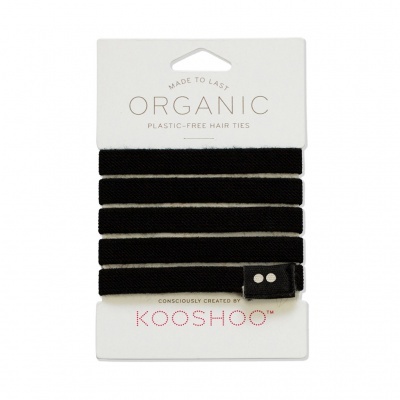 The only organic cotton and plastic free hair ties in the world. The set of 1 hair tie has no packaging. Plastic free hair ties. 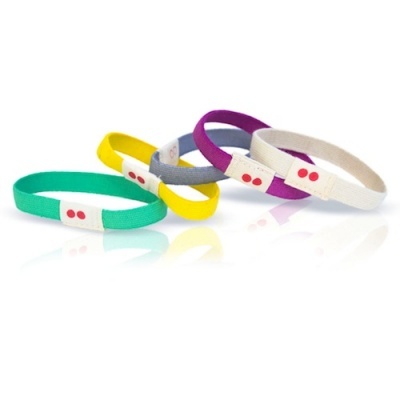 Made with the finest organic cotton and natural rubber. Ethically and responsibly made in sunny California. 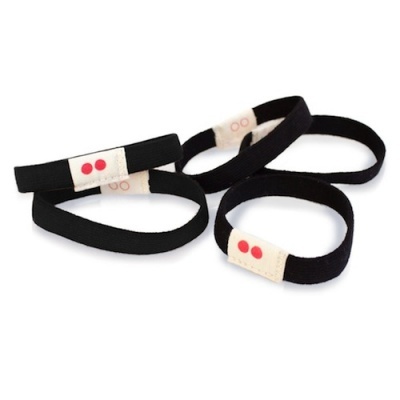 Each pack comes with 5 long-lasting hair ties Great for thick hair, kids, athletes and wristbands. There is also an option to choose a 10 pack of ties. 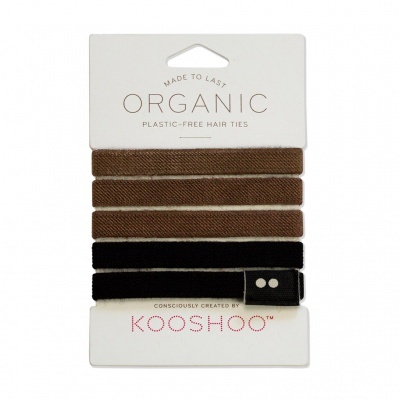 The only organic cotton and plastic free hair ties in the world. Organic cotton and natural rubber. KOOSHOO was founded by Jesse and Rachel, husband and wife yoga teachers proudly based out of North Vancouver, Canada. Together with a small, tight-knit team, they have set out to create a lifestyle company that does good at every level – from the communities growing the textiles to the beautiful souls wearing the final yoga headbands, hair ties and fashion scarves. Finally available in the UK! I've been buying these hair ties for 3 years from America and I absolutely swear by them. So happy that they're finally being carried here in the UK. Wonderful product!